If these are still in ongoing production, I'm a little confused why they haven't been released in the US. Ditto for Nikka From the Barrel. Are they really so attached to the 500 mL bottles? Not totally sure what the production status is of the Pure Malts. The White has disappeared from Nikka's website. And, other than Red, they're difficult to find in Japan (at least for me). Regarding the US, I wonder if it's a matter of volume. Would they have enough whisky to meet the US demand? We're voracious buyers. 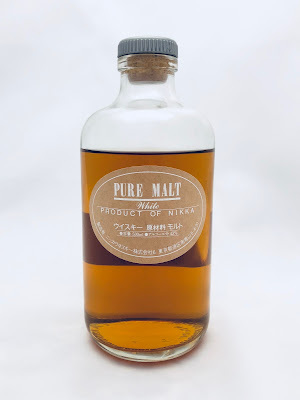 The age-stated Nikka single malts lasted no more than two years in the US before they went out of production. These are all guesses. Someday, when I do some actual reporting and talk to a non-marketing Nikka employee, I hope to get some clarity on this.